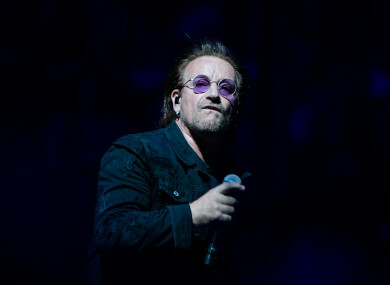 U2 WAS FORCED to abandon their concert in Berlin last night when Bono lost his voice after performing a handful of songs. “We’re so sorry for tonight’s cancellation,” the group said in a statement on its website, which was signed by all members of the band except Bono. After the first few songs Bono appeared to have a problem with his voice. The 58-year-old stopped singing several times to drink from a thermos flask. Some fans at the gig said Bono had announced that smoke machines had affected his singing. He finally announced that he could no longer continue a handful of songs into the gig. The audience will be able to return for another U2 concert at a future date. Actress Ashley Judd was at the show and tweeted that the crowd “felt for him” as he appeared “obviously powerless and vulnerable”. Email “U2 forced to cut short Berlin gig after Bono loses his voice”. Feedback on “U2 forced to cut short Berlin gig after Bono loses his voice”.